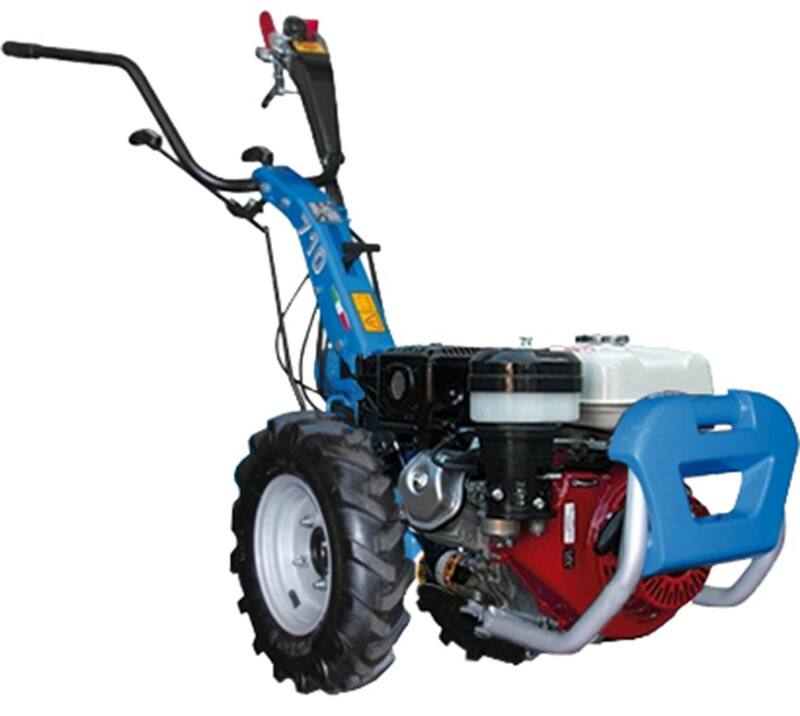 A compact yet powerful machine that will effortlessly dig your vegetable patch, cut dense vegetation, sweep away leaves and clear large areas of snow. 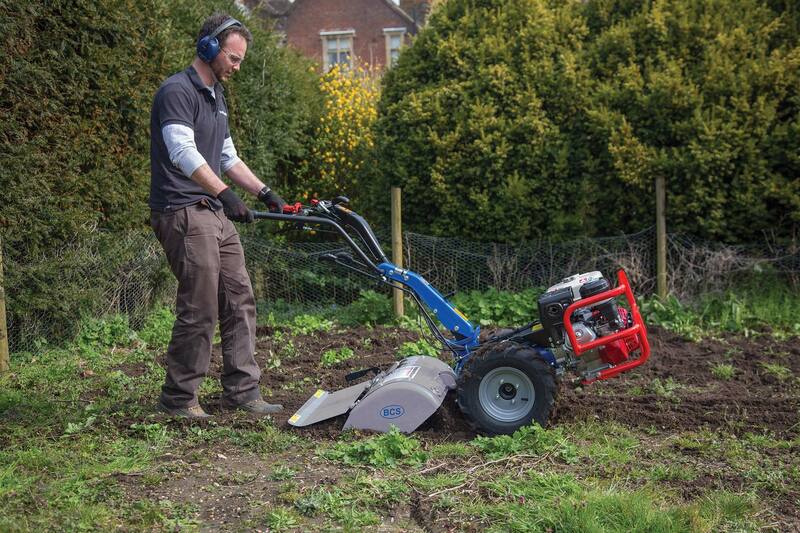 The BCS 710 is a compact yet powerful machine that will not only effortlessly dig your vegetable patch but will also allow you to cut dense vegetation, sweep away leaves and clear large areas of snow. You will find it is simple to operate and easy to maneouvre, so you can complete your tasks quickly and effortlessly. 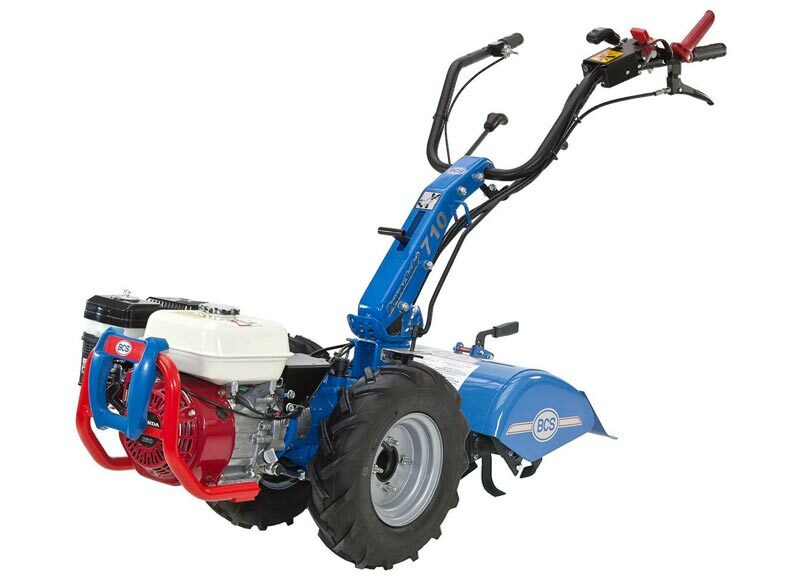 Whether you are a homeowner looking to cultivate your vegetable patch or a landscaper trying to expand your business, BCS Two Wheel Tractors have a solution for you. You will quickly find that BCS Two Wheel Tractors offer unmatched performance and reliability. An all gear drive system and top of the range engines are just two of the features that reflect the superior build quality. As a dependable working tool you will find that BCS Two Wheel Tractors are unrivalled in their versatility and functionality. There are four models within the BCS range, some of which can be fitted with over 25 working implements. This means a huge variety of different types of work can be undertaken. The versatility of BCS Two Wheel Tractors also means they offer excellent value for money, as they take the place of many single purpose machines. In fact, many owners find themselves using their BCS Two Wheel Tractors for decades before passing them on to family members for further use. You can be confident that your BCS machine will not only meet your demands but will save you considerable time and effort. The results speak for themselves, and once you have seen what can be achieved you will wonder how you ever managed to cope without your BCS Two Wheel Tractor. The handlebar can be rotated through 180°. This allows the two wheel tractor to be used in two directions and increses the number of impliments that can be fitted. Powered by petrol and diesel engines which are considered the most reliable and powerful engines in their classes. Increses operator comfort during machine operation. Allows the machine to be safely left unattended when not in use. The height of the handlebars can be adjusted to suit each individual and maximise user comfort. Each machine has a simple method of moving the handlebars from side-to-side, useful when working alongside a hedge, on a slope or cultivating. Available as an optional extra enabling implements to be changed in seconds. Supported by a 5 year warranty, this patented system gives the operator instant control over the machine and implement to ensure maximum safety at all times. Gears offer superior levels of reliability and durability. Unlike chains and belts that can streth and break. Strong proven drive connection for added durability. Locking the differential on the BCS 738 & 740 increases the traction of the two wheel tractor in difficult terrain, whilst unlocking the differential allows you to turn the machine on the spot. *Shown pictured with rotavator attachment, for details on all the other implements available see pages 12-14 in the brochure which can be downloaded from the “Video & Brochure” tab above or speak to a BCS expert at Powercut by calling 01267 235625.